Published: March 30, 2015 at 11:46 a.m. Updated: March 31, 2015 at 08:58 a.m.
B.J. Raji will continue his run with the Green Bay Packers. 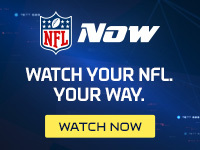 NFL Media Insider Ian Rapoport reported Monday that the Packers are bringing back the free-agent defensive tackle on a one-year deal, according to two sources informed of the situation. The contract is worth roughly $3.5 million and Raji can earn up to $4 million, Rapoport added. Raji, 28, missed all of last season after injuring his biceps during the preseason. This is the second straight one-year deal for Raji, who inked a $4 million deal with the Packers last year. Letroy Guion, who reportedly agreed to re-sign with Green Bay on Monday, replaced Raji last season and played well over 18 starts in the regular season and playoffs. Bringing back both players gives Green Bay solid depth along their interior line, though Guion could face league discipline following a recent arrest on drug and firearm possession.